The complete digital workflow in implant dentistry that streamlines the process for achieving the correct prosthetic restorative position prior to implant placement in order to ensure long-term implant success. This article is peer reviewed and available for 2 hours of CE credit. This commentary addresses replacing 2 mandibular incisors with one implant to support 2 crowns. Two techniques are compared: cantilevered pontic vs 2 crowns geminating off the implant. This article is peer reviewed and available for 2 hours of CE credit. Eduardo Anitua, DDS, MD, PhD, discusses the predictability of immediate loading of short implants, and presents a clinical case involving the restoration of a missing tooth with a single-unit short implant with immediate loading and a 9-year follow up. This article is peer reviewed and available for 2 hours of CE credit. 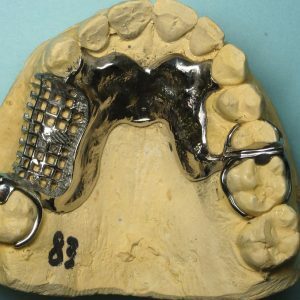 Todd R. Schoenbaum, DDS; Richard G. Stevenson, DDS; and Alireza Moshaverinia, DDS, MS, PhD, discuss single-unit cement-retained implant crowns, the evidence justifying their use, and protocols and techniques that minimize complications. This article is peer-reviewed and available for 2 hours of CE credit. Ahmad Soolari, DMD, MS, and Amin Soolari, BS, CDRT, describes the management of a severe bony defect following removal of a nontreatable mandibular anterior tooth and placement of a dental implant to re-establish function, aesthetics, and speech. This article is peer reviewed and available for 2 hours of CE credit. 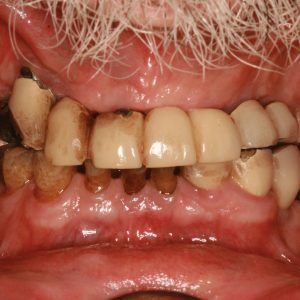 Learning Objectives: After reading this article, the individual will learn: (1) interdisciplinary management of a severe bony defect in the anterior mandible, and 2) specific treatment to re-establish function, aesthetics and speech after removal of a nontreatable mandibular anterior tooth. E. Dwayne Karateew, DDS, discusses 2 clinical protocols that are designed to enhance the predictability of dental implant aesthetics in the anterior aesthetic zone. This article is peer-reviewed and available for 2 hours of CE credit. Learning Objectives: After participating in this CE activity, the individual will learn: The complications in achieving predictable implant aesthetics in the anterior aesthetic zone. The 2 clinical protocols for enhancing the predictability of dental implant aesthetics in the anterior aesthetic zone. Gary Greenstein, DDS, MS, and John Cavallaro, DDS, evaluate available information regarding clinical management of the buccal gap when placing immediate implants. This article is peer-reviewed and available for 2 hours of CE credit. 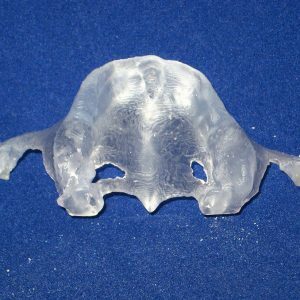 George A. Mandelaris, DDS, MS, and Mei Lu, DDS, MSD, PhD, present case reports demonstrating use of a demineralized bone matrix material in conjunction with a bioresorbable membrane for extraction socket preservation prior to placement of implants. This article is peer-reviewed and available for 4 hours of CE credit. Learning Objectives: After participating in this CE activity, the individual will learn: Histologic, clinical, radiographic, and histomorphometric assessments regarding the efficacy of a demineralized bone matrix material and a bioresorbable membrane for extraction socket preservation. A clinical technique and materials for socket preservation prior to implant placement.